The 10" Dobsonian Telescope from Sky-Watcher is a large-aperture, short focal-length, Newtonian reflector. It provides big light-bucket gathering, good optical quality and unique utility. It has an inspiring simple construction, emphasizing ease-of-use and greater aperture for lower cost. Sky-Watcher's optical tube design utilizes their proprietary truss support system. That system allows the optical tube's front and back tubes to collapse together, aligning on the truss support rods, and locking down for secure transport. This one piece, low-hassle OTA design is mechanically simple and results in a large aperture telescope that can be reasonably handled and transported by one individual. This innovation gives Sky-Watcher users tremendous functional ease-of-use. 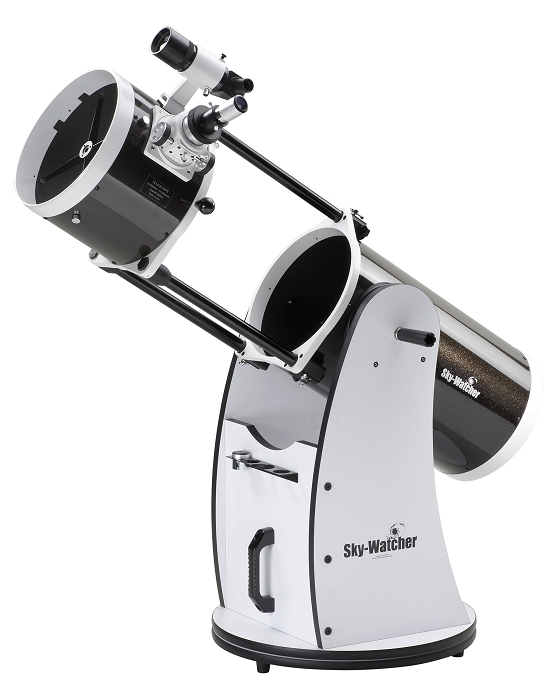 The Sky-Watcher Dobsonian's large aperture and fast focal ratio make it the ideal dedicated telescope for wide-field, deep-space observation of faint galaxies, nebulae, and star clusters. For ease-of-use, Sky-Watcher uses a high-performance Teflon bearing system in both axes combined with tension adjusters in altitude that assure smooth manual movement. Sky-Watcher Dobsonian telescopes offer quality optics, huge aperture, solid construction, and superb value for the investment. In viewing deep-space aperture counts big time. With this telescope you have tremendous light gathering power. Some prominent deep-space objects seen well in an 10" SW DOB are the Lagoon (M8), Trifid (M20), and Swan (M17) nebulae, the globular star clusters M13 and M92 in Hercules, the Great Orion Nebula (M42) and our local galaxy group companion, the Andromeda Galaxy (M31), and many more. On each parabolic primary mirror, and elliptical diagonal mirror, aluminum is vacuum deposited to the front glass surface and then over coated with hard quartz (SiO4). Additional layers of titanium dioxide (TiO2) and (SiO4) are then applied. An 8x50mm right angle optical viewfinder provides both magnification and light gathering to help narrow your search for those elusive fuzzies while star-hopping. 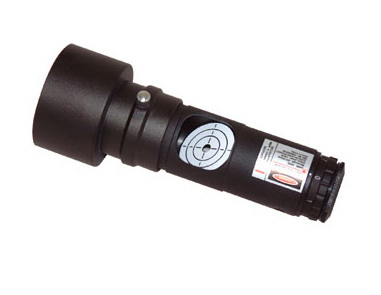 The standard, backlash-free, 2" Crayford Focuser insures ultra smooth focusing adjustments. Multi-coated, 4-element Plossl eyepieces (25mm and 10mm) provide a spacious 52° Apparent Field of View. Box Dimensions (LxWxH) 37.5 x 26.0 x 23.5"